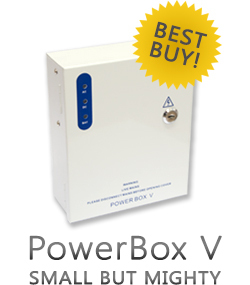 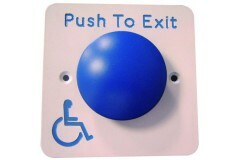 Exit buttons are used when an internal handle is not suitable or the user cannot physically use the handle. 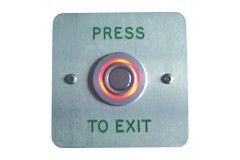 Simple press the exit button and the door will release allowing free exit. 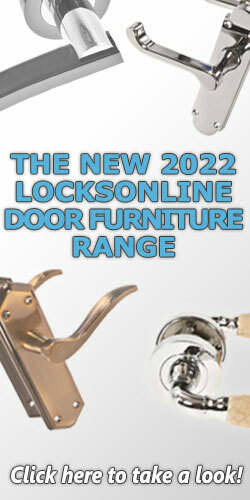 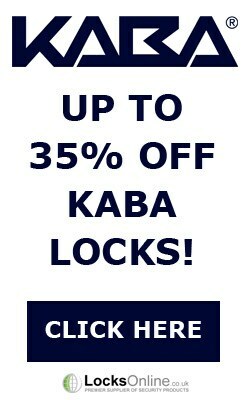 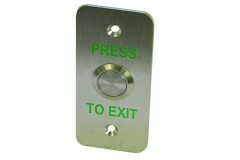 Ideal for use on fire doors or any electronic locking solution that needs to offer a free exit option on the door. 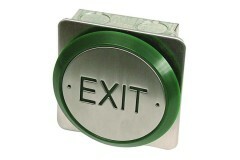 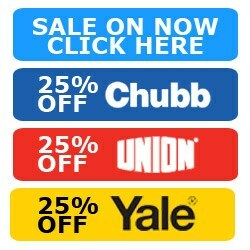 Need help choosing an exit button? 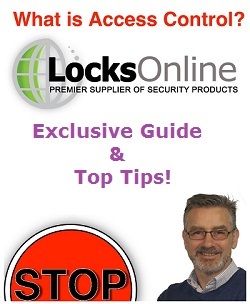 If you're not sure if an exit button would be suitable, or need help choosing the right one for your current or proposed system, speak to Darrel, our technical specialist (in the photo to the right) for help. 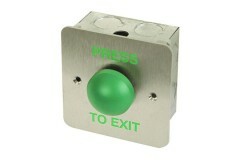 Featuring a highly visible 35mm green dome push button as well as green printed "PRESS TO EXIT" inst..
With added weatherproofing, this green dome exit button it suitable for exposed conditions, achievin.. 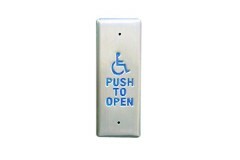 Ideal for hospitals, veterinary surgeries, and catering premises, the stainless steel no-touch door .. 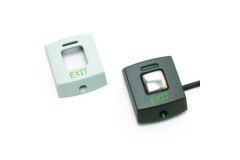 This two-in-one surface-mount kit bundles together the two common wall-mounted action points found i..
Paxton Exit buttons may be used with Compact, Switch2 or Net2 systems. 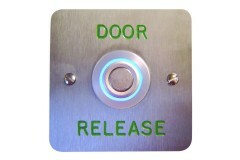 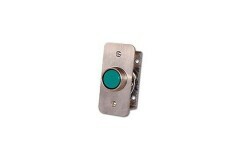 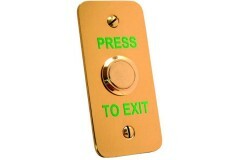 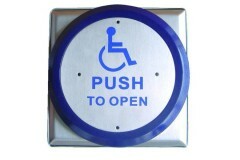 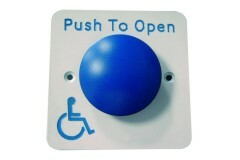 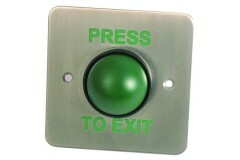 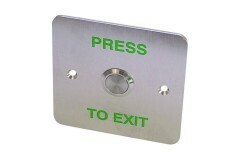 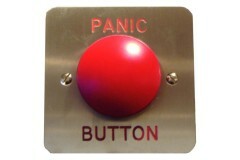 They are supplied with a cho..
Asec Heavy Duty Press to Exit Button is powder coated stainless steel RAL 9016. 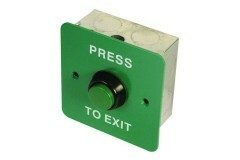 SPDT microswitch.150.. 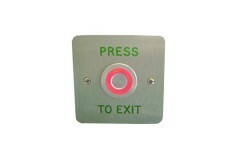 Perfect for narrow frames or posts, but also great for those wanting a clean minimalist finish, thes..
Asec EXB 0650 Exit Button available in one gang & narrow style sizes. 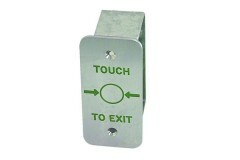 Sealed terminals. 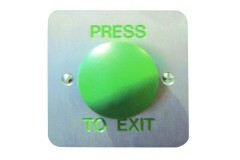 N/O and ..